How to read a dotted Gradle property in Kotlin DSL? But module A do not need dependency jar a, how can i exclude a in A's build.gradle? 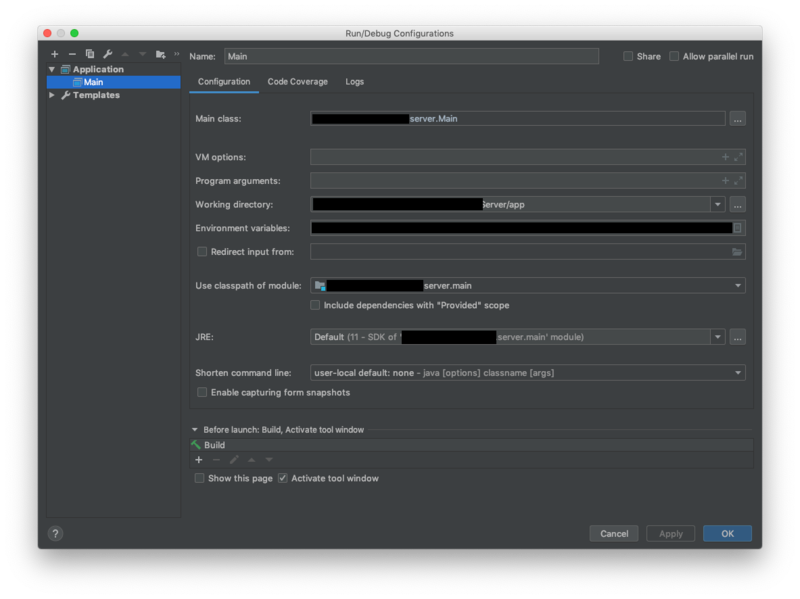 I have a Kotlin/JVM Gradle project that I'm working on in IntelliJ IDEA CE. I unchecked Allow parallel run on my "Application" Run Configuration, so that IDEA would only allow a single instance of my process. I got used to the behaviour where after I press Run, the previous process is terminated before the new process is launched. Today, I upgraded from 2018.3 (maybe?) to 2019.1.1 (details below), and even though that checkbox is unchecked, every time I press run it launches a new process. The new process always quits immediately because it binds to the same port as the first process, which is still running. I need to quit the old process(es) manually. My project is unmodified; the only thing I did was upgrade IntelliJ using the upgrade prompt when I launched it today. When I hit run, I want the old process to quit first so it doesn't conflict with the new one. How do I get this behaviour back? I'm stuck with some dependencies issues when building a Gradle project with Spring boot and Cassandra. All of these errors are refering to elements from the org.springframework.boot:spring-boot-starter-data-cassandra dependency. Did I miss something in the dependency management? * Allows logging for Cassandra queries. See log4j2.xml for level configuration. How can I read those properties above in a settings.gradle.kts script?